One Halloween in Brooklyn, strange things begin to happen to certain would-be Bed-Stuy residents. Only one woman notices the threat and tries to fight to keep herself and neighbors on her way home, safe. New York. Brooklyn. This was an area that bled into my consciousness at a very early age because of its cinematic representation. The number of films that make the borough and the island itself a character that the entire world recognizes are countless. I can imagine, because of its decades long cultural allure and potential for opportunity (especially for artists who actually want to make a living as artists) is the spark that invokes a real fear that translates well in the horror canon: gentrification. It's a scale which positions itself being on the heavier side of economics and bulldozes in order to selfishly utopianize. Grabbing on to those bright eyed dreams of NYC seen on movie screens and television to taste the "cool", then cannibalize it. 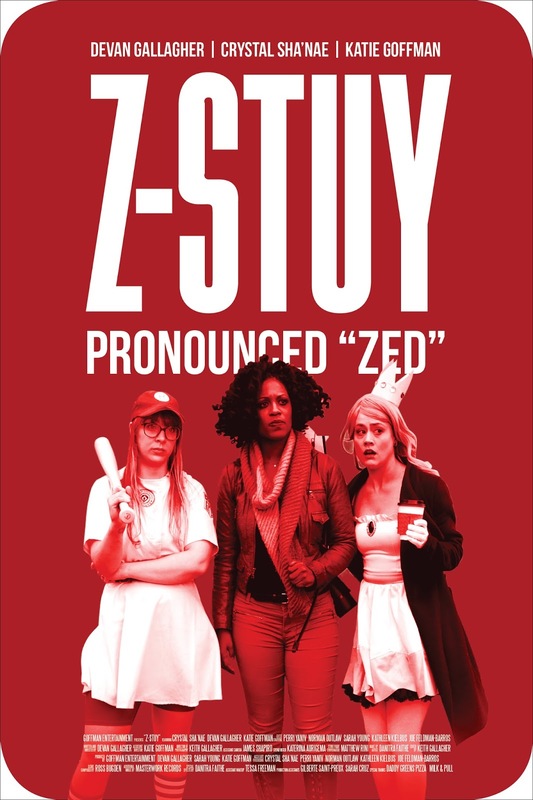 Z-Stuy references this frenzy in a clever and timely way. 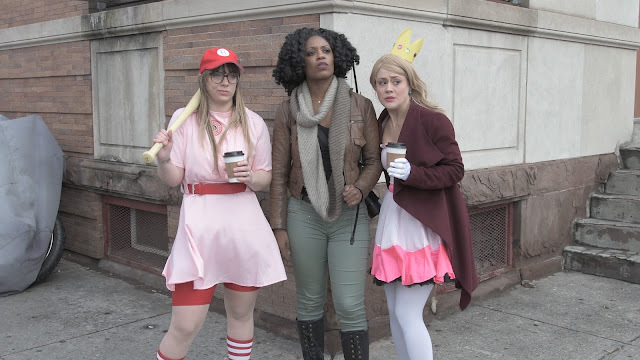 Chloe (Crystal Sha'nae) stands as the only one actively observant of the whimsicly dressed (even for Halloween) and obnoxiously vocal as their boastful nature evolves into its gritty purpose of overrunning a Bedford-Stuyvesant that ushers in Black entrepreneurs losing their livelihoods. The strain of privilege literally follows her, and I can't help but indulge her rightful annoyance and fighter archetype when the infected abound. Eliza (played by Gallagher) and Dylan (Katie Goffman) are slow on the lesson, leaving Chloe to dodge the glamour of 'gluten-free gastro pubs' and "artisinal pop-art pop up's". Gallagher scintillatingly marks the nuance of the unwanted evolution of a space that displaces its rooted inhabitants. The zombies in Z-Stuy are familiar with their blank skin tones and autopilot movements, yet this movement is infused with the typicality of the encroachment on a community that is slowly being stripped of what once made it so vibrant and attractive to begin with. 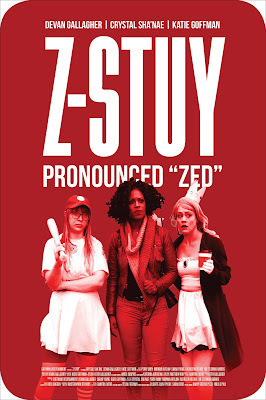 Z-Stuy is not a film that talks back so much as it co-signs and wants to talk with you. What polishes its theme is the oozing charm and humor that makes you want in on the havoc. Horror, and horror-comedy is at its best when it can juggle both. Its decision to oscillate characters creates the right effect for the short's overarching points, carving its mark into the socially-aware zombie canon without feeling stale or repetitive.